Market sentiment: Nervous. Stronger than expected U.S economic data led to a jump in U.S Treasury yields mid-week, re-igniting fears of a bond bear market that might affect all financial assets as risk-free rates on government bonds rise. A strong upward revision to August’s jobs growth on Friday added to the fears, with the 10yr US Treasury yield ending Friday at 3.23%, up 29bp on a month ago. Global stock markets fell in response, tech and emerging markets especially, and the dollar resumed its rally. The oil price reached a four-year high, with Brent at $84 on Friday, representing an additional squeeze on oil importers’ incomes. Fears grew that the Italian government is heading towards a bust-up with the E.U over its budget proposals, leading to a sharp slide in Italian sovereign bond prices (and a rise in their yields). A panic over what, exactly? Investors in all assets can be forgiven for fearing a bond market sell-off. Along with rising short-term dollar rates (cosy of the U.S Fed), a fall in Treasury prices (and a rise in their yields) would feed through into higher long-term borrowing costs for the U.S and the global economy. But if the stock market rally is about to end, is it really going to be because bond investors become afraid of the growth and inflation risks of the strong U.S economy? This is, surely, not realistic. Fed chair Jay Powell has repeatedly made clear his nervousness of reading too much into the recent uptick in U.S wage growth, and the tightening labour market. It is worth noting not only that September’s hourly wage growth, of 2.8% year-on-year, was actually lower than August’s 2.9%, but also that inflation expectations are broadly stable. It is too easy to forget in the clamour of last week’s headlines that August CPI inflation came in at 2.7%, down from 2.5% in July. And that the Fed’s preferred measure of inflation, the core PCE index, stands at just 2%. With three more interest rate hikes expected next year, which would take the Fed’s target range to 2.75% - 3%, there is a growing risk not of inflation derailing the U.S economy, but Fed policy error. 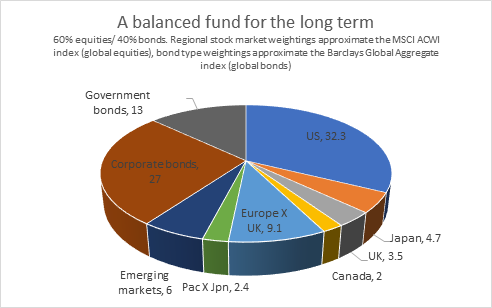 This would include not only raising interest rates too fast, but also its quantitative tightening programme that is withdrawing $50bn a month from the U.S economy, and so contributing to higher bond yields. The risk to stock market investors, therefore, comes not from a sharp bond market sell-off which raises the risk-free yields on Treasuries. It is from the Fed ignoring its chair’s own advice and tightening monetary policy faster than the American economy can stand. Italian bonds. A new euro-crisis is brewing over the Italian government’s draft budget, which breaks the fiscal rules it had agreed with the E.U by projecting a 2.4% of GDP deficit in the coming fiscal year (and that is with the government using generous GDP forecasts). Italian government bond yields have risen sharply, on fears of a full-blown debt crisis for the country arising from the coalition government’s policies. This has put the country’s under-capitalised banks back under the spotlight since they -along with the ECB and Italian households- are significant holders of Italian government bonds. Indian stocks. Until its recent sell-off, the Indian stock market had been enjoying a good year in rupee terms, with robust corporate earnings growth supporting valuations, even if foreign investors have been hurt by the rupees fall against the dollar. Strong GDP growth, at 8.2% in the second quarter (year-on-year) is not to be sneered at. But few investors are still cheering as a weak currency, high oil prices and a looming financial crisis over the infrastructure group IL&FS – with $13 bn in liabilities- take their toll on investor confidence. Similar to Turkey, analysts point to the country’s twin deficits as an aggravating factor, with the government’s large budget deficit and the country’s current account deficit fuelling inflation and making the economy reliant on foreign capital. In perhaps an echo of the Turkish central bank’s behaviour as its crisis unfolded, the Reserve Bank of India declined to raise interest rates on Friday, to defend the rupee. Brexit. Considering the chaos that followed the recent Salzberg meeting, it seems odd that Brussels is now speaking of 17th October as a possible date for agreement on a key part of Brexit negotiations: the Irish border question. Talk is that it will offer the whole of the U.K access to its customs border when the U.K leaves the E.U in March of next year, with its subsequent relationship to the E.U to be hammered out later. Background: the U.K refuses to accept the E.U’s current backstop position on the Irish border (which is to have Northern Ireland remaining in the E.U customs border, with its customs border with Britain being in the Irish Sea). We can expect sterling to rally on such a soft Brexit, with many Remainers hoping that this temporary arrangement may become permanent. However, this would surely prevent the Brexitiers from achieving their goal of entering into trade agreements around the world, and thereby be regarded with suspicion by many in the Tory party? Meanwhile, on the E.U’s side, some will dislike the possibility of a temporary membership of the customs union from next March becoming permanent, as the U.K realises that the end ‘prize’ of full withdrawal from the E.U, and the temporary solution becomes a permanent one and so creating a new category of ambiguous E.U membership.